Want to burn more calories? Of course you do. And while exercise in general can do the trick, strength training is particularly important. 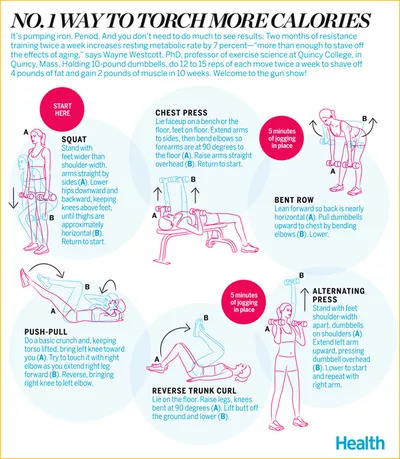 Do these six workout moves twice a week for 10 weeks to lose four pounds of fat and gain muscle!